The EU project can be characterized as successful and a cornerstone of European stability and prosperity. The European Union, beyond other areas of cooperation, has developed common foreign and security policies. From 2003 until the present date, the European Union has executed around thirty civilian and military operations on three continents. 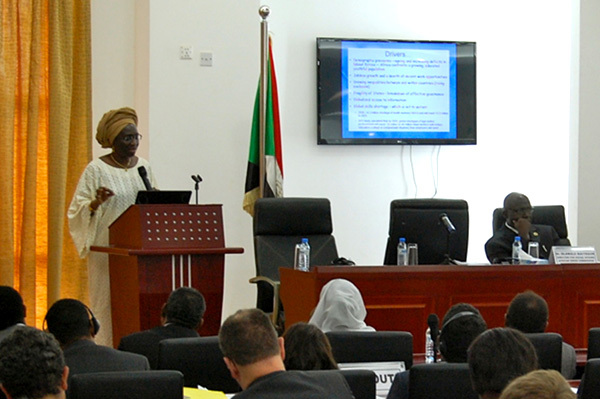 Their aim was to deal effectively with crises in those regions. Significant examples include peace-building after the tsunami disaster in Indonesia, operations for protecting refugees in Mali and the Central African Republic, and combating piracy in Somalia and the Horn of Africa. Despite this, a paradox exists. Under the existence of this ambitious policy and after more than thirty operations through the Common Security and Defense Policy (CSDP), political interest in national capitals in acting through the EU’s CSDP has been declining.2 It is important to point out that the reasons member states should have high political interest in acting through the CSDP are more compelling that those that limit shared interest. Additionally, some European policymakers and analysts have characterized the European integration project as a bicycle, which must keep going forward to avoid falling over. Imbalance can cause a number of problems, such as the Greek debt crisis, the migration and refugee crisis, the June 23, 2016, United Kingdom referendum on EU membership, a resurgent Russia, and heightened terrorism. These are some of the factors that caused the increase of unemployment in many EU countries, economic and political pressures, and the rise of political parties with “Eurosceptic” ideas.3 In one of the toughest periods of its history, some members of the European Union are creating dividing lines instead of trying to provide a common and effective response. Also, the voices and opinions on the future of European Union and the vision of European integration remain divided between those who are supporting the European project (and believe that it will continue to exist despite the serious challenges it is facing) and, from the other side, those who believe that those challenges would bring the collapse of the European project. This article will focus on the current challenges in the Mediterranean, and how those challenges can be a pillar of integration for the Common Security and Defense Policy of the European Union. The Mediterranean Sea is connected with the Atlantic Ocean through the Strait of Gibraltar and the Red Sea through the Suez Canal. Traditionally, it was a sea passage for internal European trade and imports from Africa and Asia. A powerful coalition and multilateral body such as the EU should adapt to the new challenges and threats, which are a result of the systemic context. 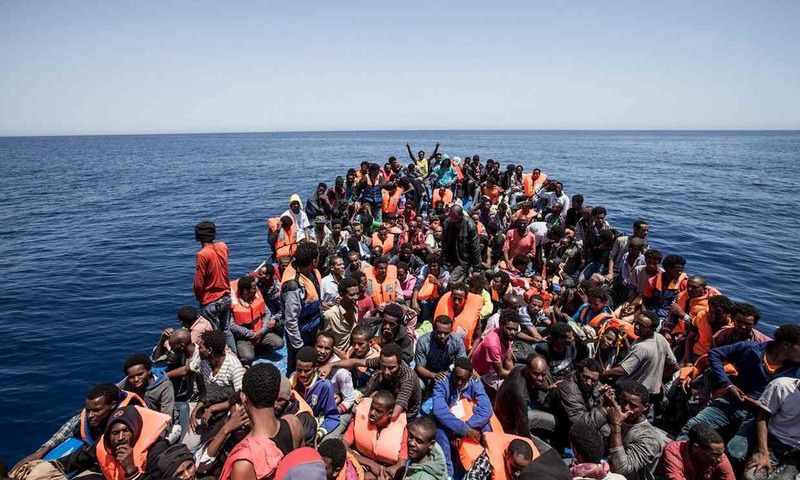 The EU’s aim is to ensure stability and to avoid any kind of activities that could damage maritime security or bring danger to the life of individuals. Although the European Union is not the only interested party, the involvement of external actors is inevitable. This work will analyze the external actors present in the Mediterranean and the schemes of cooperation for preventing a spillover effect, which can not only impact the European continent but global affairs. 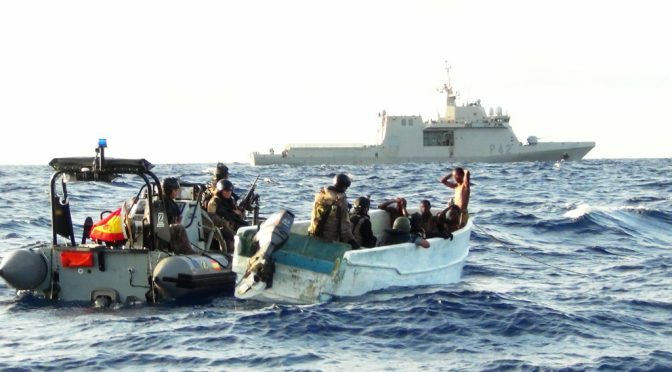 The Mediterranean Sea doesn’t currently sustain a realistic threat in terms of modern-day piracy as we now know it. 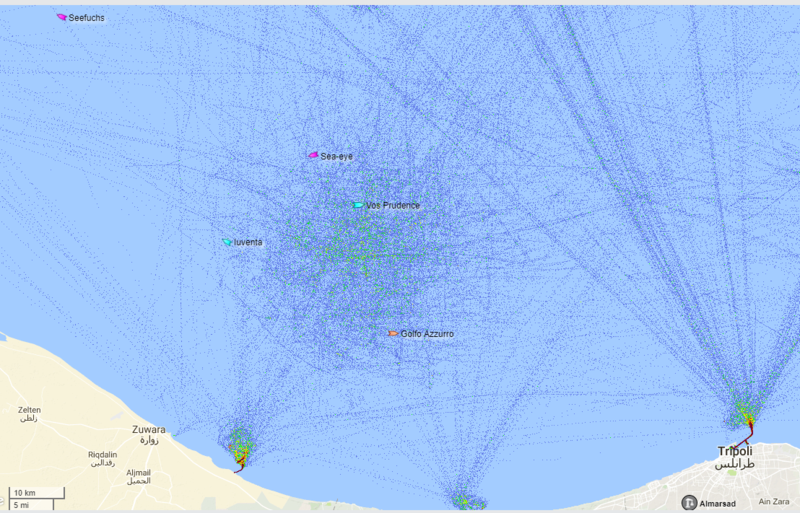 Unlike the Indian Ocean, it is enclosed and very well policed, surveyed, and trafficked. The entire area is also within easy rapid reach of sophisticated military and naval resources. However, more clandestine (and arguably more damaging) operations are perfectly feasible. It is no secret that obvious targets include port facilities, berthed vessels, outlying transport structures, and logistical hubs. 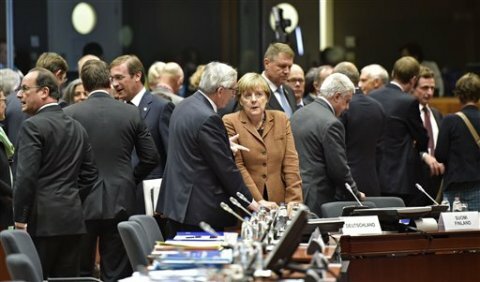 On December 6, 2016, the Council of the European Union and Foreign Ministers of NATO adopted a common set of proposals for EU-NATO cooperation. This follows from the Joint Declaration signed by EU leaders and the NATO Secretary General on July 2016. They agreed on a set of actions, including 42 concrete proposals for implementation in seven areas of cooperation: “Countering hybrid threats, operational cooperation including maritime issues; cyber security and defence, defence capabilities, parallel and coordinated exercises and defence, defence industry and research and security capacity-building.”15 Facing common challenges, the cooperation between European Union and NATO is more important than ever. In particular, in December of 2016, the European Union and NATO agreed to enhance the cooperation and coordination between Operation Sea Guardian, a flexible maritime operation created by NATO that can perform a wide range of maritime security tasks,16 and EU NAVFOR MED Sophia, which started on June 22, 2015 and ceased operations July 27, 2017 and was formed to disrupt the business of human smuggling and trafficking in the Mediterranean and prevent loss of life at sea.17 The EU and NATO agreed to enhance the cooperation of these operations through information sharing, logistical support, and practical interaction. And finally, why can maritime security in the Mediterranean be an integration pillar for the Common Security and Defense Policy? First, continued fiscal austerity could possibly impact the already limited defense expenditures in Southern Europe and give rise to new security concerns. Having an integrated approach can prevent and efficiently manage the existing threats in the Mediterranean which became even more challenging and complicated after the outbreak of the Arab Spring. 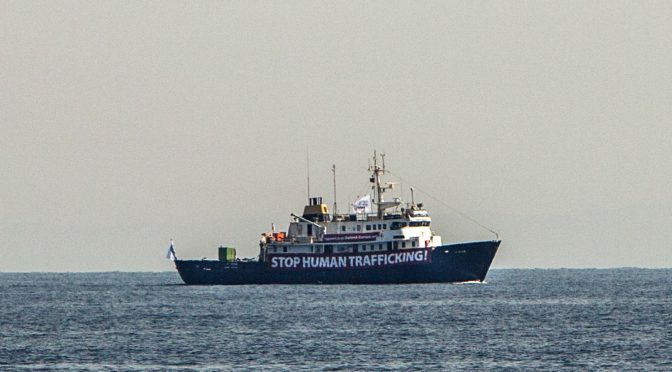 The percentage of refugees and migrants who are trying to reach Europe by crossing Mediterranean has skyrocketed.20 Also, the incidents of terrorist activities in Mediterranean coasts, the threat of piracy attacks, as well as the fact that the Mediterranean has become a route of trafficking, drugs, arms, people, and money. Another important factor which should increase efforts for further cooperation within the CSDP is the circulation of foreign fighters from Europe and elsewhere to the battlefields of the Levant and back. This phenomenon is not new, although the sheer size and widespread nature of the problem has given it a totally new dimension. Terrorist attacks and counterterrorism operations in France, Belgium, Denmark and Germany, highlight the nature of the threat.21 Terrorists could find a number of other ways to use the sea to carry out threats, such as using explosives to damage vessels, passengers and crews, or surrounding areas. They could also use vessels to transport explosives and other chemical, biological, or nuclear materials, including fissile material to use ashore. 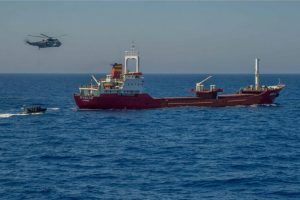 Based on these developments the European Union, a global maritime player, cannot remain uninvolved, and especially when its own interests and the peace and security of its citizens are affected directly by the situation in Mediterranean basin. The above examples shows that this threat cannot be tackled effectively when each member state is acting individually and there is a lack of compromise. Cooperation under the CSDP is linked to military deployment, and the CSDP creates fertile ground for cooperation and dialogue between the EU member states and cooperation with external actors. 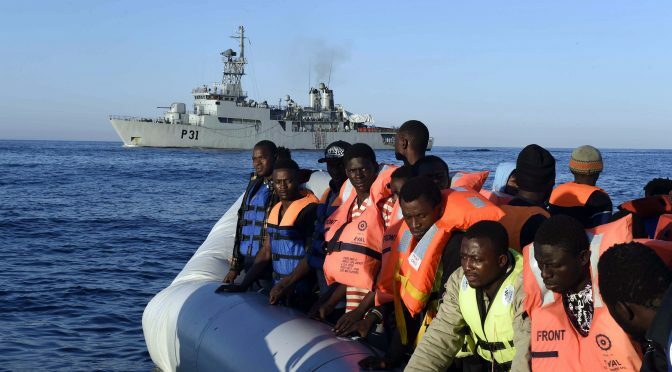 The European Union as a security and defense actor cannot remain a distant viewer when security challenges in the Mediterranean are more rapidly emerging. Those threats do not concern only the countries of the “front line” but all the EU member states. 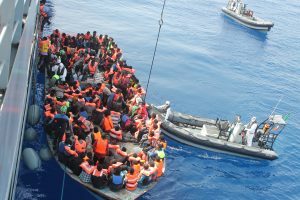 Maritime security in the Mediterranean region can be an integration pillar for the Common Security and Defense Policy as recent events prove, although many more challenges are still yet to come. Evmorfia-Chrysovalantou Seiti is a Ph.D. Candidate in the Department of Political Science and International Studies in University of Warsaw, Poland and she is working in a multinational corporation dealing with banking and financial services. She holds an MA in Political, Economic and International Relations in the Mediterranean from the University of the Aegean. Her primary areas of research are European Security, European Maritime Security Strategy towards Mediterranean and Euro-Mediterranean Politics. The Carrier Strike Group (CSG), with its air wing, surface escorts, and auxiliary support vessels, provides capabilities with great flexibility and presents an overt symbol of modern naval power. From sea control to strike to humanitarian assistance, it can respond anywhere in the 71 percent of the world which is covered by oceans, and with staying power. The Mediterranean has been one of the most strategically significant bodies of water throughout all of history. The Persians, Greeks, Carthaginians, Romans, and all of the European nations that amassed great fortunes using it as a trade route from the Middle Ages through the modern era have understood this. Even in very recent history, states have projected naval power from the Mediterranean into Iraq, Libya, and Syria. The Persians, Greeks, Carthaginians, Romans, and all of the European nations that amassed great fortunes using it as a trade route from the Middle Ages through the modern era have understood this. Even in very recent history, states have projected naval power from the Mediterranean into Iraq, Libya, and Syria. Russia has remained well aware of the strategic significance of the Mediterranean through its history. As it has been attempting to do for over 300 years, the modern Russian Federation established a permanent naval presence in the Mediterranean. Vladimir Putin’s ally, the Syrian President Bashar al-Assad, has allowed Russia to maintain a navy base in Tartus, which includes replenishment and repair facilities. This is in some ways a return to Cold War positioning. The Soviet Union was able to project influence in the Mediterranean through ports in Syria, Egypt, and Libya. But following the end of the Cold War and fall of the Soviet Union, the Soviet Fleet returned to its home bases within Russia and virtually ceded the Mediterranean as NATO territory for the next 20 years. Russia’s primary means of projecting naval power into the Mediterranean is the Black Sea Fleet. For this fleet to reach the Mediterranean, it must pass through the strategic straits of the Bosphorus and Dardanelles, which are under the control of Turkey, a NATO member. After the Mediterranean was safely in western hands, NATO was able to withdraw forces from it. With the Black Sea Fleet essentially trapped behind the Turkish Straits, a great NATO naval force was not necessary to counter Russian influence within the Mediterranean. The U.S. Sixth Fleet became a shell of what it once was and the U.S. abandoned the Mediterranean as a strategic naval hub altogether. With the establishment of a permanent naval presence in the eastern Mediterranean, Russia has made a strategic move and this warrants a counter-move by NATO. NATO naval presence within the Mediterranean is made up of Standing NATO Maritime Group 2 (SNMG2), formerly known as Standing Naval Force Mediterranean (STANAVFORMED). This is an integrated force made up of vessels from allied nations which is available for tasking from Allied Maritime Command (MARCOM). Its tasking mostly consists of exercises, strategic port calls, and occasional disaster response. The size and makeup of SNMG2 varies depending on what is provided by contributing nations, but it is normally comprised of 4-8 destroyers, frigates, corvettes, or even small fast-attack craft, and one support vessel. This force is a far cry from the sea control, power projection, and disaster response capabilities inherently present in a CSG. NATO should maintain a continuous Carrier Strike Group (CSG) presence in the Mediterranean. A CSG patrolling the Mediterranean, especially in the eastern Mediterranean near Tartus, would be an overt display to Russia that NATO has not forgotten about the Mediterranean. Middle East and Western Pacific, they would need 16 aircraft carriers. That would require six additional carriers to complement the current ten. Where could these additional carriers come from? The United States’ allies in Europe with navies that boast aircraft carriers and have similar reservations about Russian proclivities in the region offer a viable and cost-effective option. This is starting to sound like NATO. For simplicity, we will assume that based on the Hudson Institute policy study referenced above, given that NATO has 16 aircraft carriers between them, a constant CSG presence can be maintained in the Mediterranean while the United States maintains the other two naval hubs. The United States currently has 10 aircraft carriers in service, Italy has two, and France and Spain both have one. That puts the total count for NATO at 14, two short of the required 16. However, the U.S. carrier Ford is scheduled to be commissioned in April 2017 and likely to enter service in 2020, while the UK carrier Queen Elizabeth is scheduled to be commissioned in May 2017 and is likely to also enter service in 2020. So, nominally, in about three years, NATO could have continuous CSG coverage within the Mediterranean. 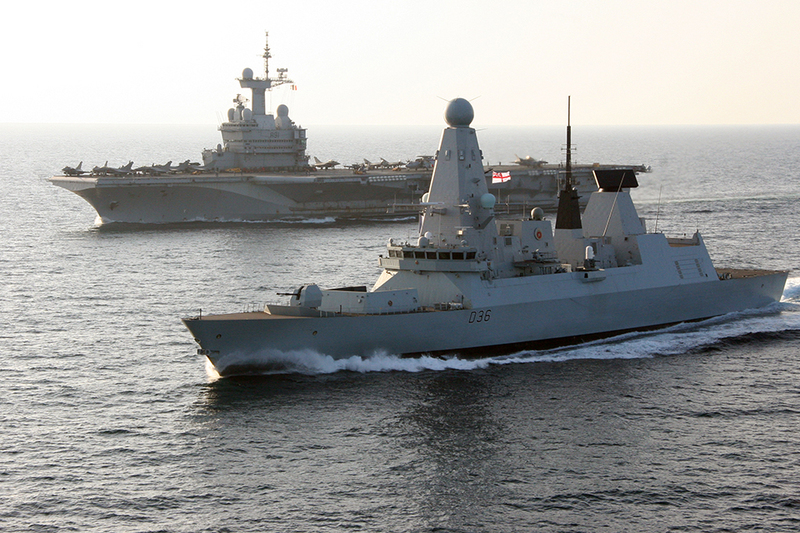 NATO can coordinate a requirement for certain ships to be in a surge-ready status. Over the next three years, this surging of CSGs could be periodically performed to demonstrate the ability of NATO to surge naval power in a crisis. This would be useful as a stopgap measure while additional aircraft carriers are being built, but this would not constitute a continuous presence. Virtual presence is actual absence. However, demonstrated surges of naval force can still have influence. Demonstrating the ability to surge a CSG, especially a multinational CSG, can send a powerful message to an adversary. Luckily, surging an aircraft carrier from Toulon, Taranto, or even Portsmouth, UK to the Mediterranean is much more reasonable than surging one from Norfolk, Virginia. The majority of the above discussion has revolved around the aircraft carrier, and though it is a centerpiece, it is not the only component to a CSG. Not only should NATO members coordinate the deployment of their CSGs to provide continuous coverage of the Mediterranean, but should also shoulder the integration of surface combatants into combined NATO CSGs. This can enable even more flexibility and burden sharing. 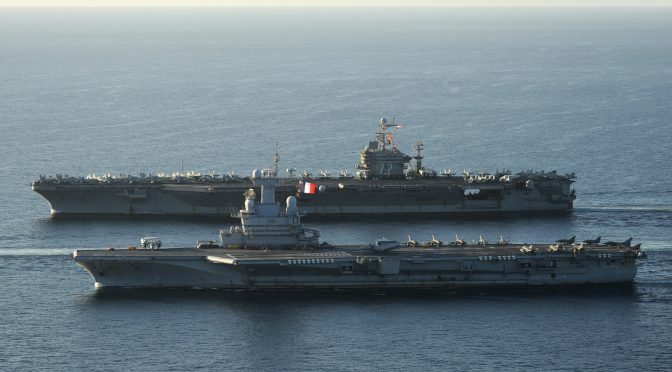 In 2016, FS Forbin was attached to the USS Harry S. Truman CSG, and then USS Ross was attached to the Charles de Gaulle CSG. Both CSGs were conducting operations into Syria from the eastern Mediterranean. These are perfect examples of burden sharing and are a testament to the present day relevance of the NATO alliance. NATO is predominately a defensive alliance, but this level of naval cooperation constitutes defense through conventional deterrence by showing that for any move the Russian Federation may make in the Mediterranean, NATO has a counter-move ready. LT Jason H. Chuma is a U.S. Navy submarine officer. He is a graduate of the Citadel, holds a master’s degree from Old Dominion University, and has completed the Intermediate Command and Staff Course from the U.S. Naval War College. He can be followed on Twitter @Jason_Chuma. The opinions and views expressed in this post are his alone and are presented in his personal capacity. They do not necessarily represent the views of U.S. Department of Defense or the U.S. Navy. Featured Image: The USS Lincoln and Charles De Gaulle steam alongside one and other in the Arabian Gulf. U.S. Navy Photo. Source.